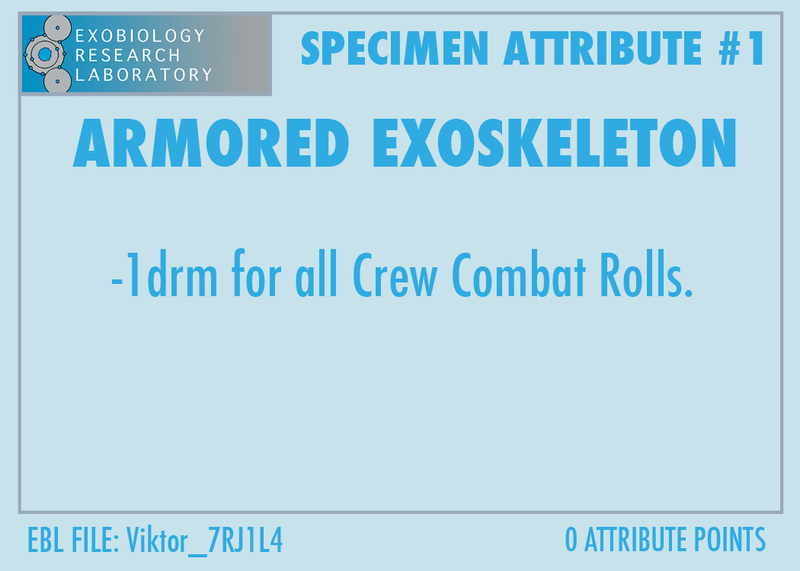 This entry was posted in Game Mechanics, Specimen and tagged Attributes, board game, horror, science fiction, space, Specimen, strategy. Bookmark the permalink. My first game since playtesting involved the new player picking Armored Exoskeleton, Spiked Tail, and I don’t know what else, because he had shredded my crew to bits by Turn 5. Makes me wish Spiked Tail was a 2 point attribute! 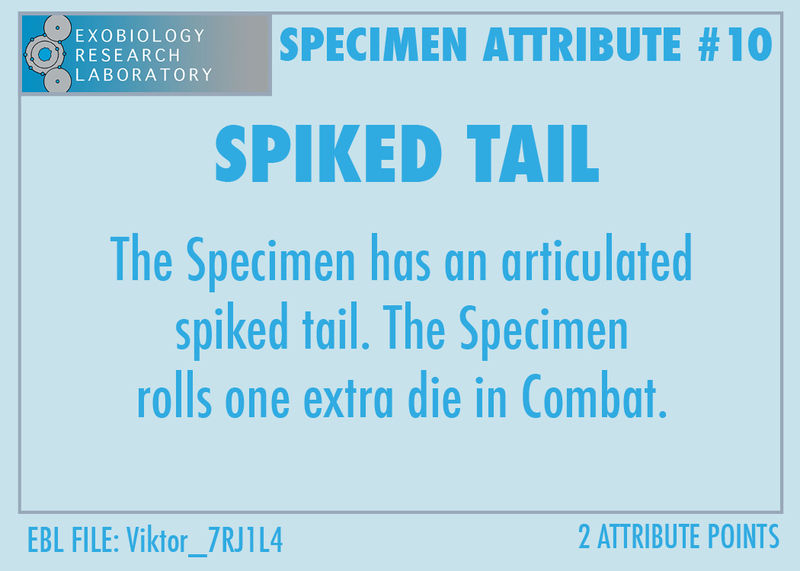 Actually, the Spiked Tail Attribute IS a two-point Attribute. 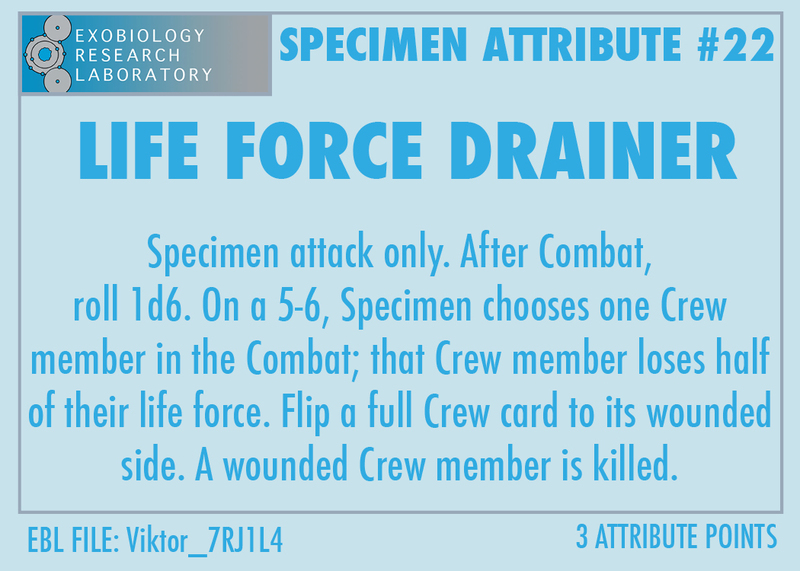 Remember, an Attribute isn’t available for use until the Specimen Life Cycle Stage is equal to the number of Attribute points. So, the two-point Spiked Tail Attribute shouldn’t be available for use until the Specimen reaches Stage II – which shouldn’t be until the end of Turn 4.